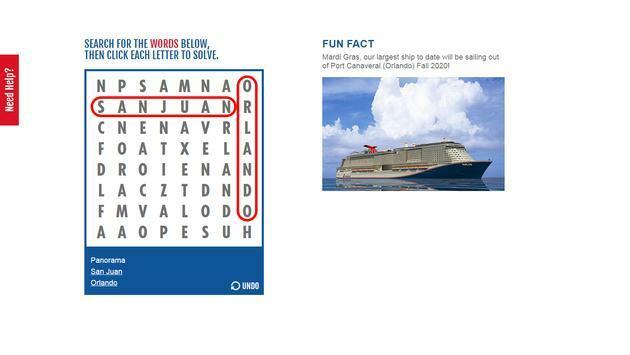 Carnival Cruise Line is making Wave Season more enjoyable for travel agents and advisors by launching the Carnival Word Search Contest. Starting Monday and running through February 28, the online game presented by Carnival will help agents and advisors keep up to date on the cruise line’s ships and itineraries. Each day of the 18-day contest will offer agents and advisors the chance to visit the Facebook page of Carnival’s senior vice president of sales Adolfo Perez and find three ship- or port-related terms in a word-search puzzle. When a word is discovered in the game, a fun fact pops up with relevant information. In addition to the pertinent fun facts provided by the game, agents and advisors who complete the challenge are automatically entered in an instant daily giveaway for a $25 Amazon gift card, as well as a drawing for the grand prize. The grand prize is a three-day cruise on the Carnival Panorama set to debut December 11 from Long Beach, California. 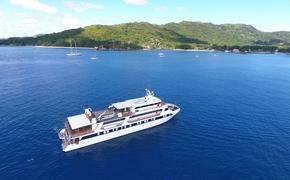 The package includes airfare, one hotel night and $200 for travel expenses.